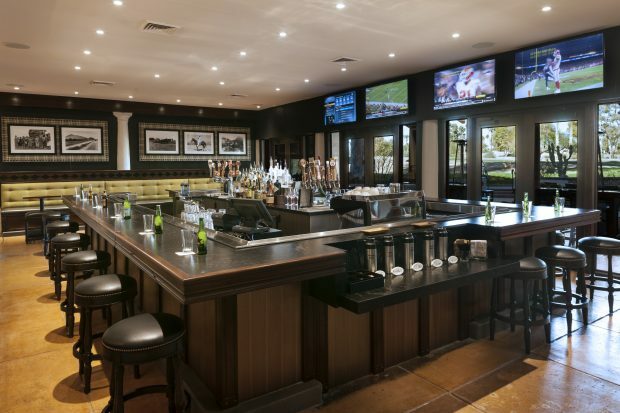 Happy hour hot spot Bar Six40 at The Scottsdale Resort at McCormick Ranch is the place to be for a delicious cocktail hour in a luxe setting. A can’t-beat selection of $4 draft beer, $6 well cocktails and apps, as well as $8 glasses of wine line up the happy hour selection from 4 p.m. to 6:40 p.m. every day. Enjoy select wine on tap, including a pinot noir, chardonnay, cabernet sauvignon or sauvignon blanc. Beer enthusiasts will love the handful of beers on tap, including an IPA California, Stell Artois Pilsner and a few Arizona brews. Dive into southwestern-inspired appetizers, like Mole Meatballs with cilantro carrot slaw; Fried Mesquite Honey Cheese Curds in a tart juniper cherry jam; or the Foraged Mushroom Kiln Flatbread with grilled provolone and scallions in a bold chimichurri sauce. A mix of indoor and outdoor seating makes Bar Six40 the perfect environment for after-work networking, catching up with friends or simply just enjoying some top shelf fare and libations. Click here to view the full happy hour menu.